Check out some of Sherrill's hits, from a variety of artists, including Patsy Cline, Dolly Parton, Shania Twain and many more! For my mom's 60th birthday, I wanted something really special. We got exactly that with Sherrill. Not only are her voice and sound incredible, she is SO MUCH FUN! We danced all night--ages 5 to 85! Sherrill has an energy about her that just lightens up a room. I have already recommended her to several friends! "I would highly recommend Sherrill to anyone. She does an absolute spot on impression of Patsy Cline, the best I have ever seen. She also has a great rapport with the audience and they love her. Her other shows are outstanding as well. She and her Manager, Sandy are great people, easy to work with, no fuss, no muss, just get the job done and have a good time doing it." "We saw Sherrill Saturday night (8/20/2011) and were blown away by her performance. She came out as Loretta Lynn and then Patsy Cline, and both performances were in perfect costume and vocal talent. It was our first time to watch an impersonator and we were astounded at how very much she sounded like both artists! The change in her voice to fit the personality was wonderful. 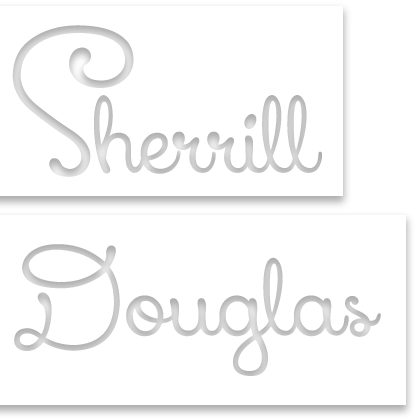 I would highly recommend to anyone reading this that Sherrill Douglas is THE performer if you love the classic country ladies!" "An avid Patsy fan, I love to listen to her records - where you get her true voice. I've been to numerous tribute concerts. I'd have a hard time choosing who was Patsy and who was Sherrill. Absolutely amazing voice! She even greeted fans and signed autographs after the show. I highly recommend this artist."